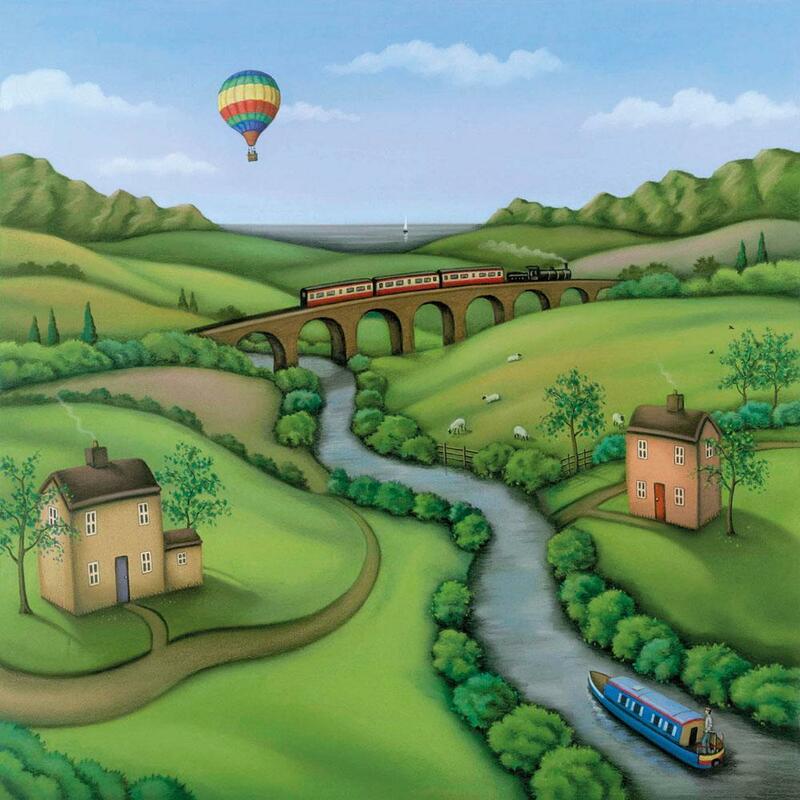 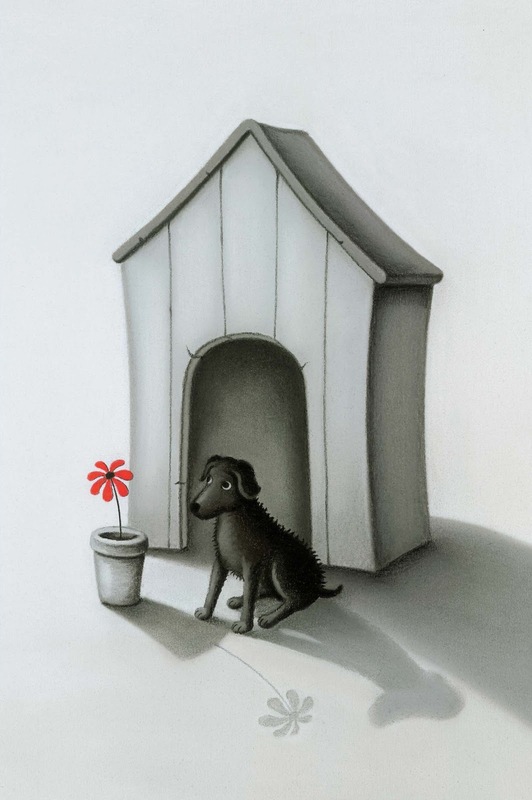 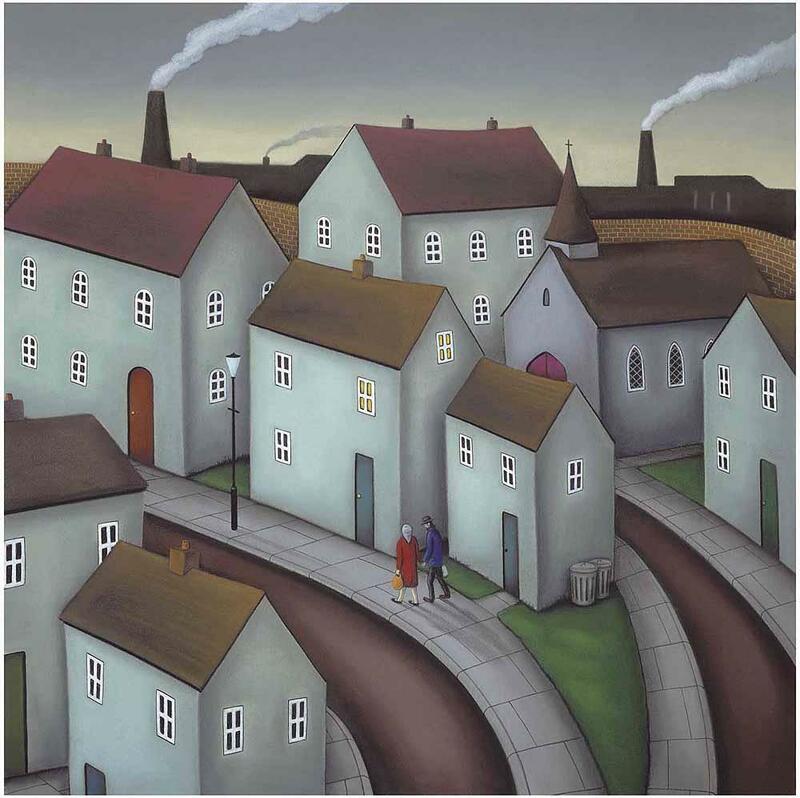 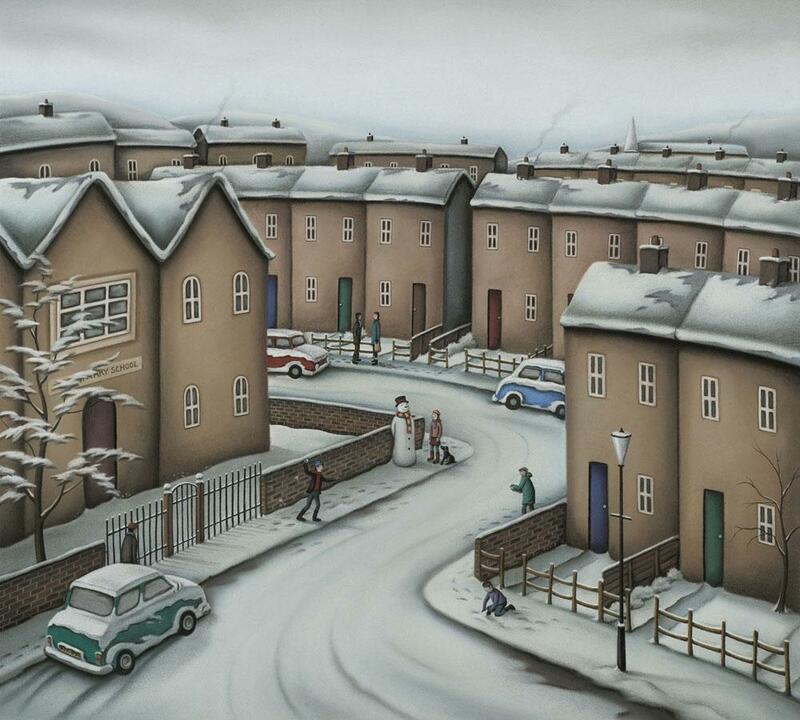 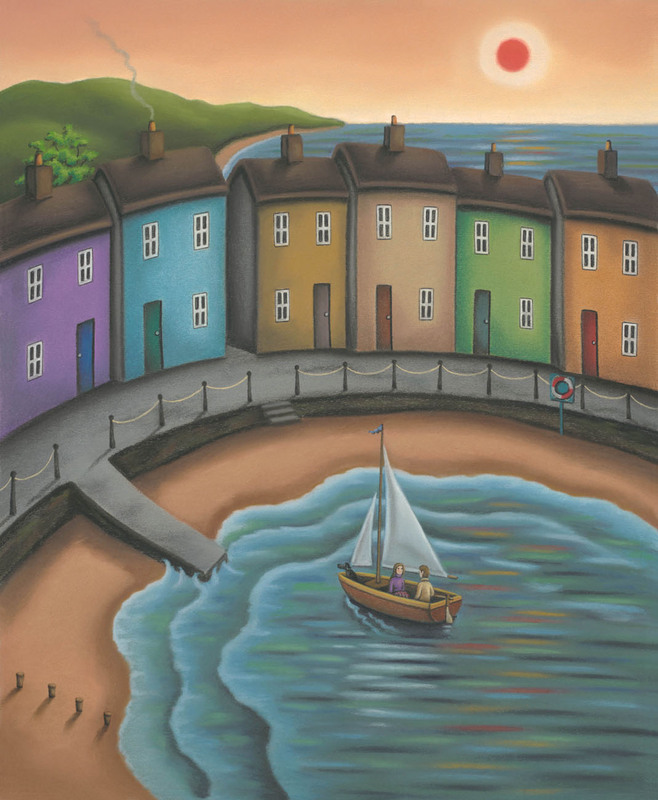 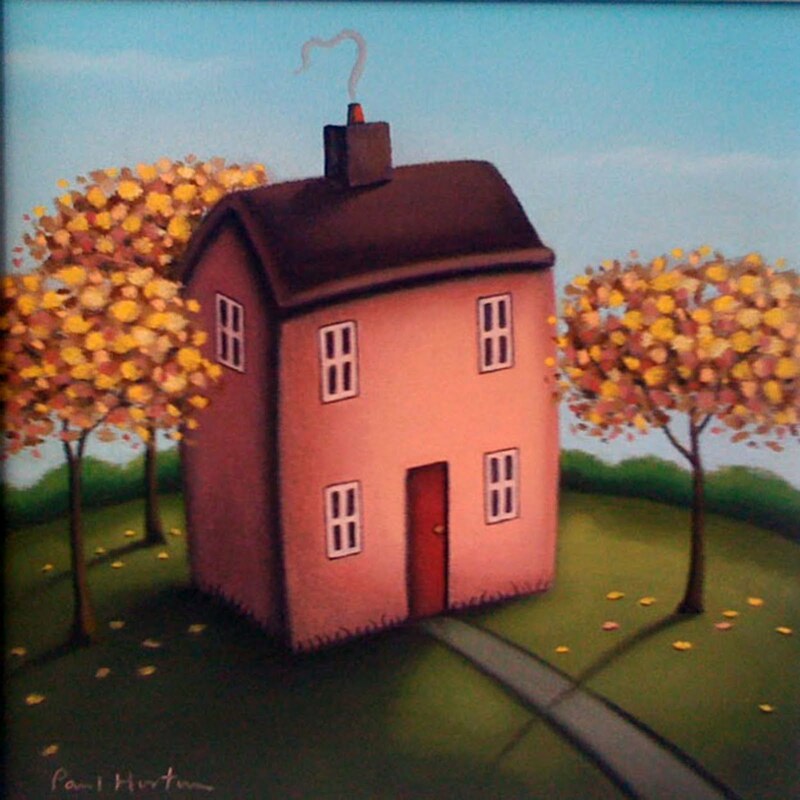 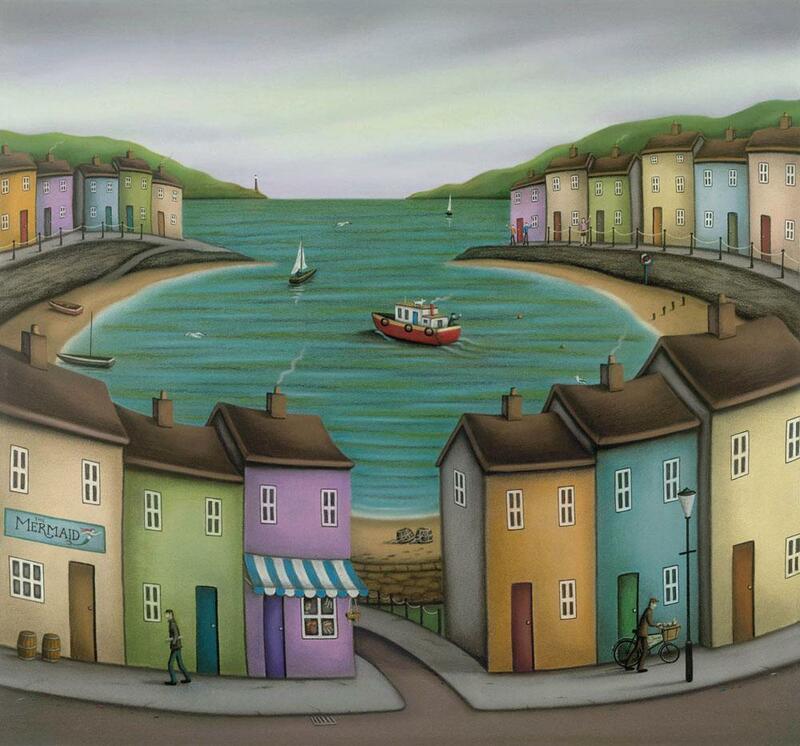 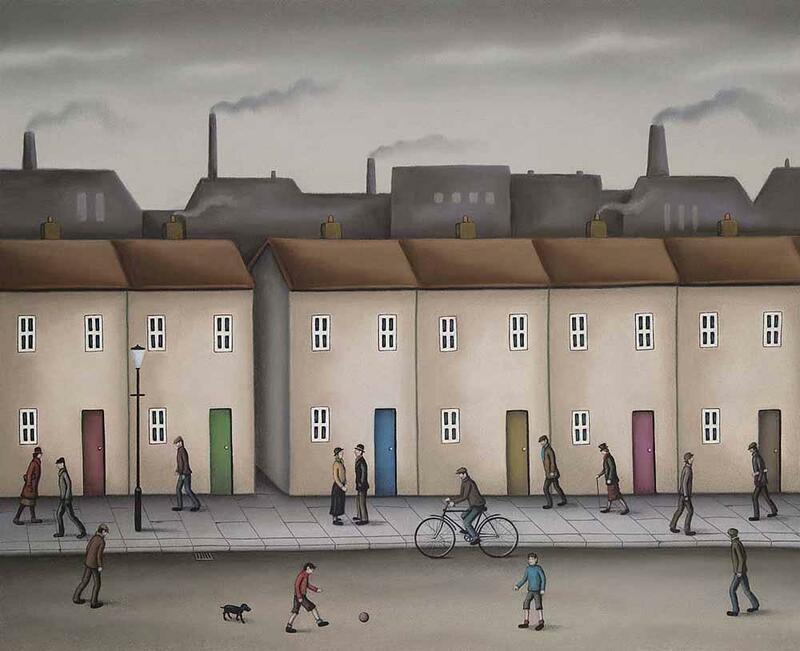 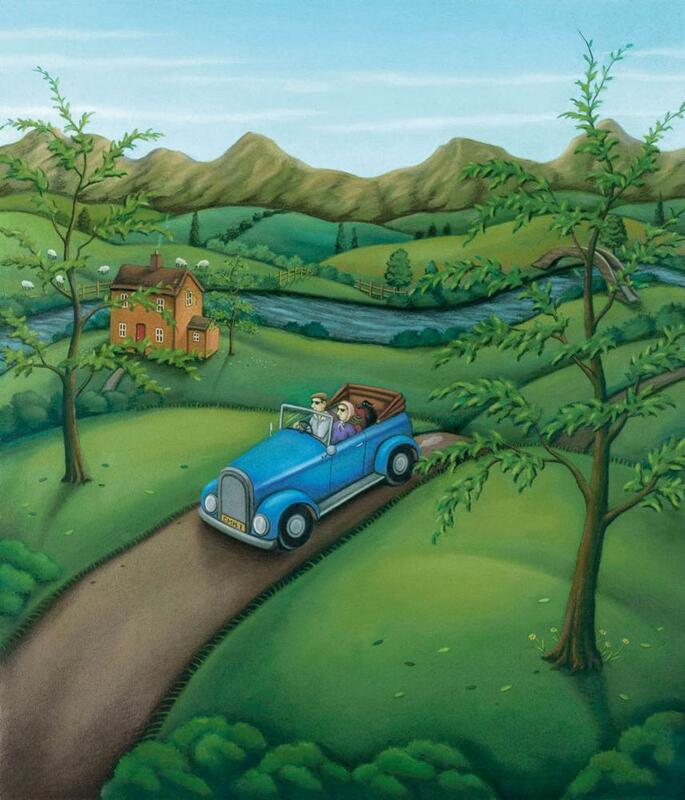 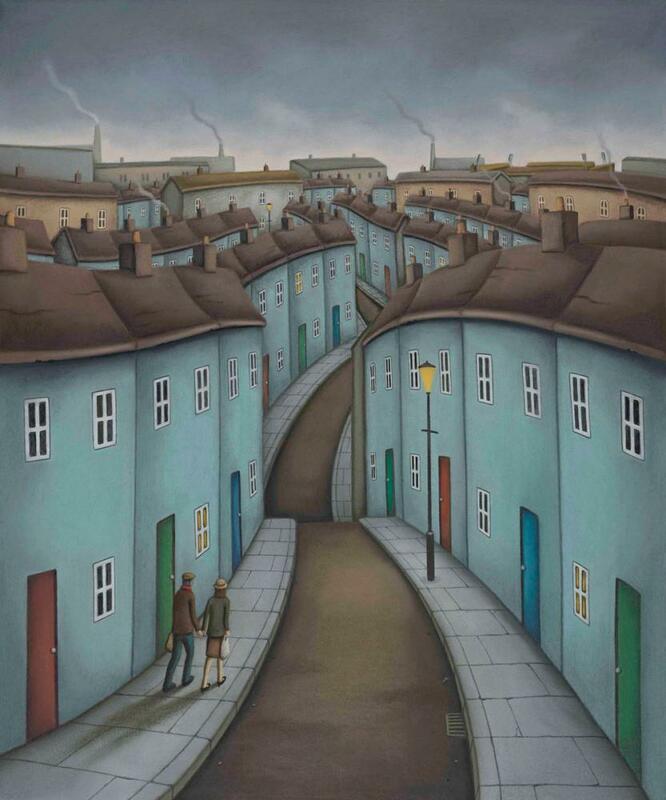 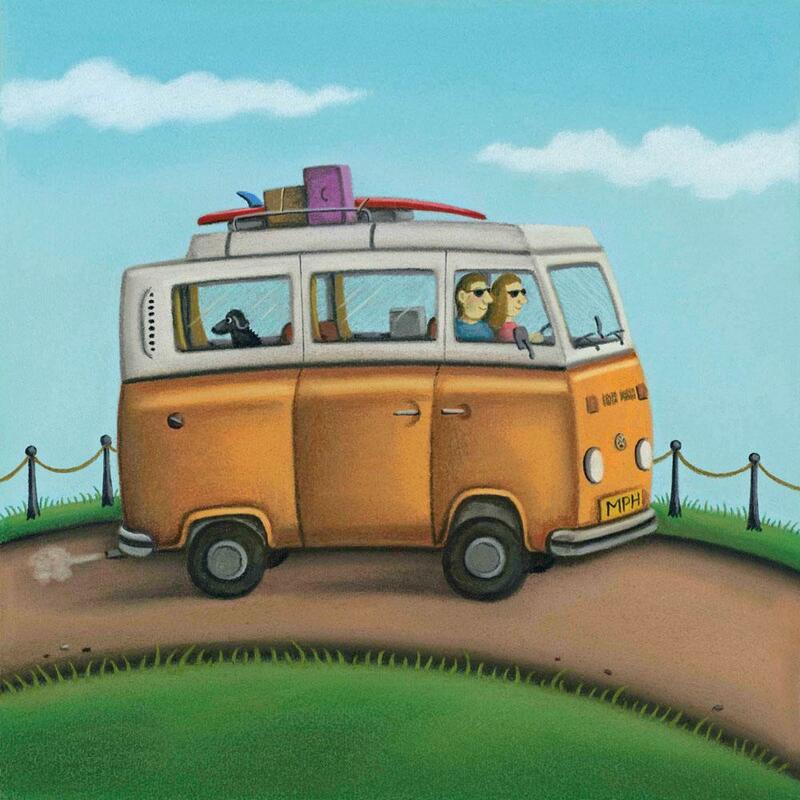 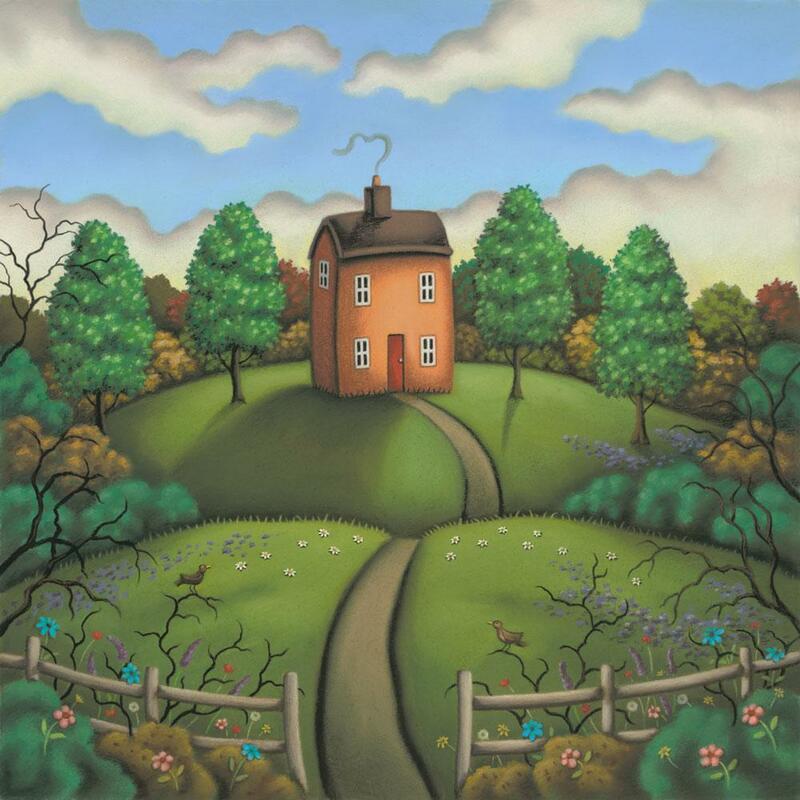 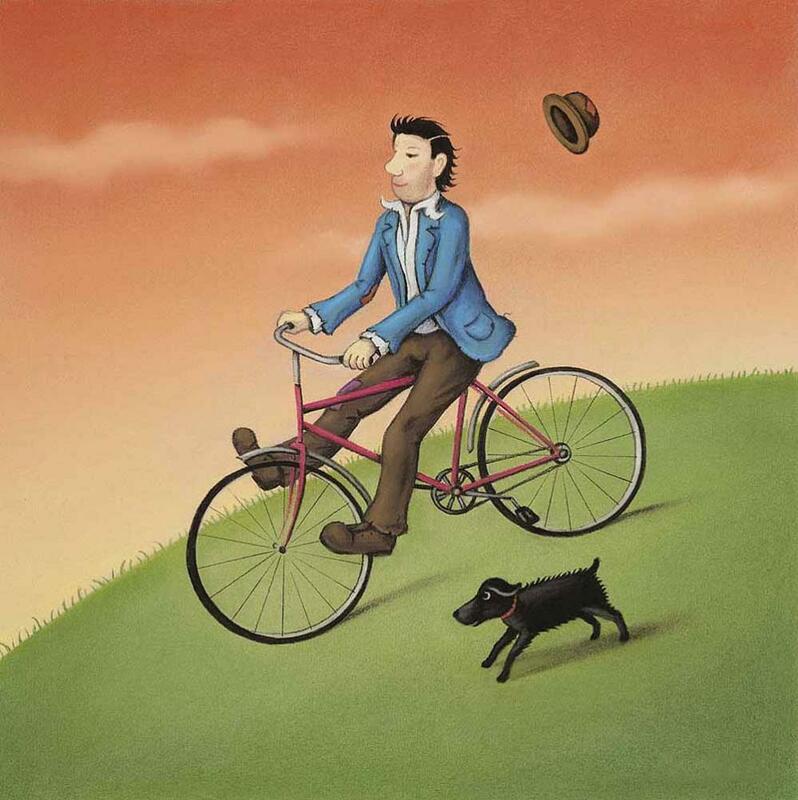 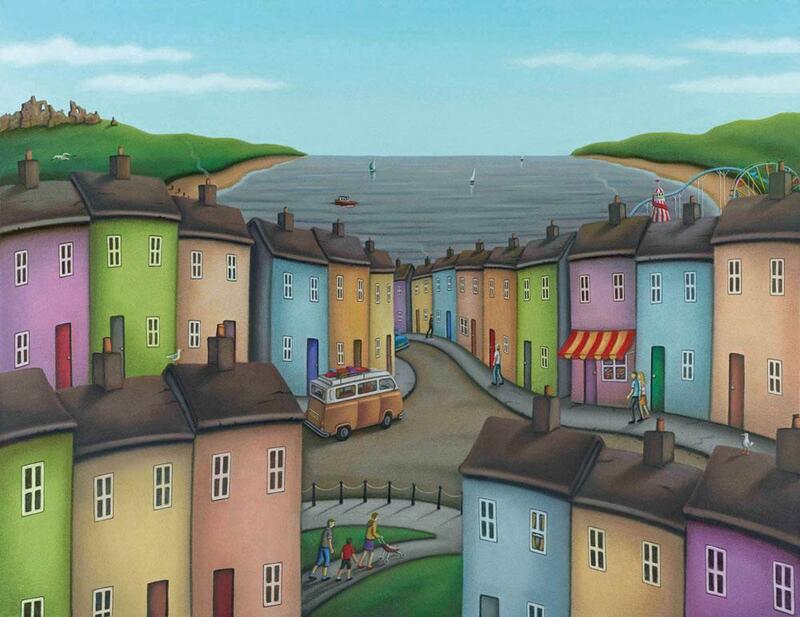 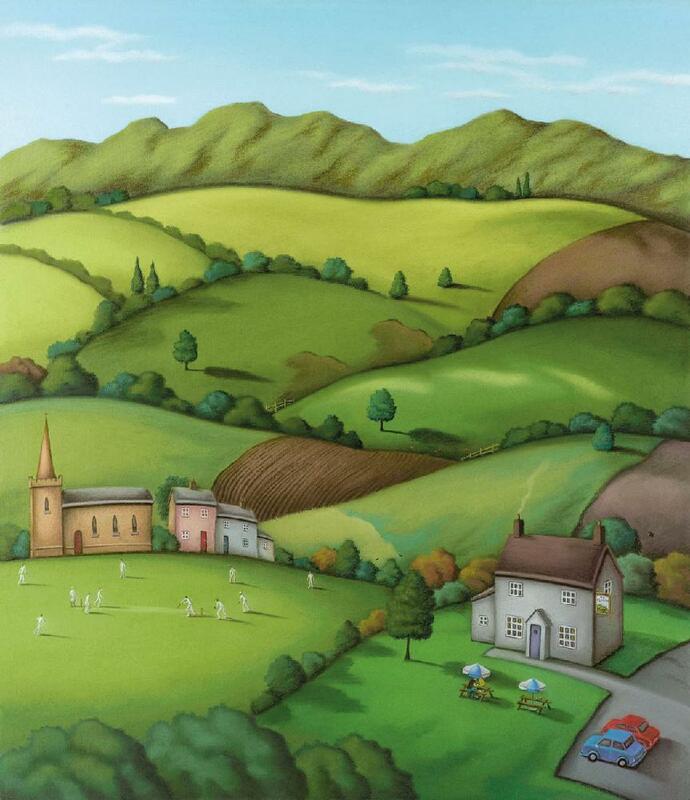 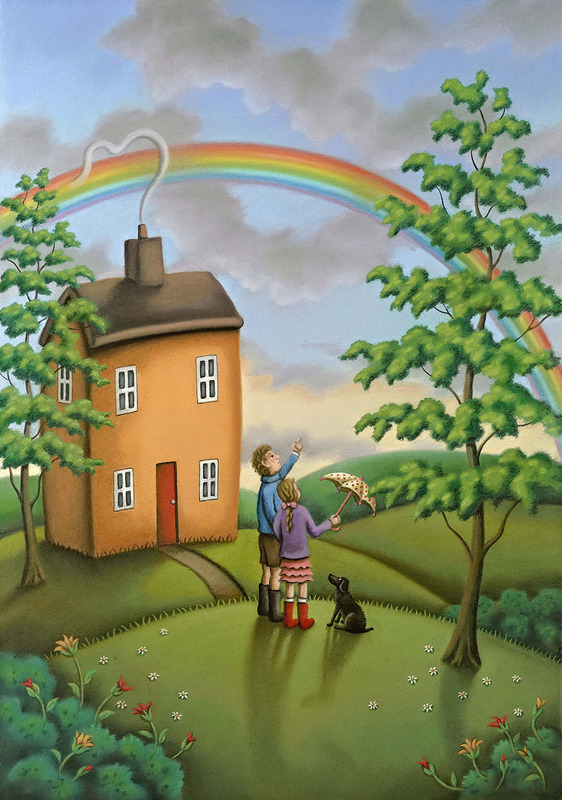 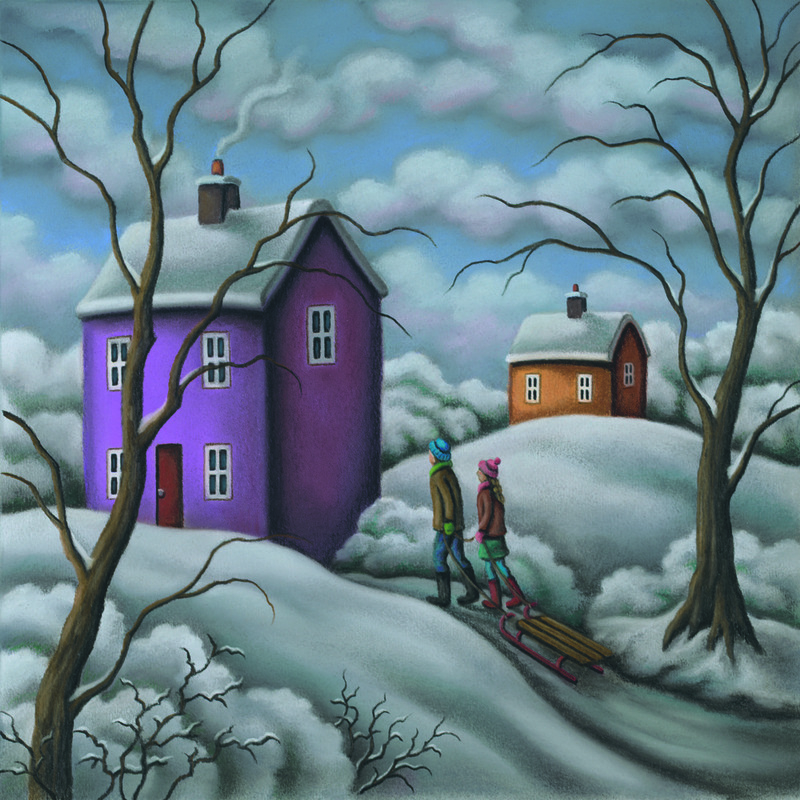 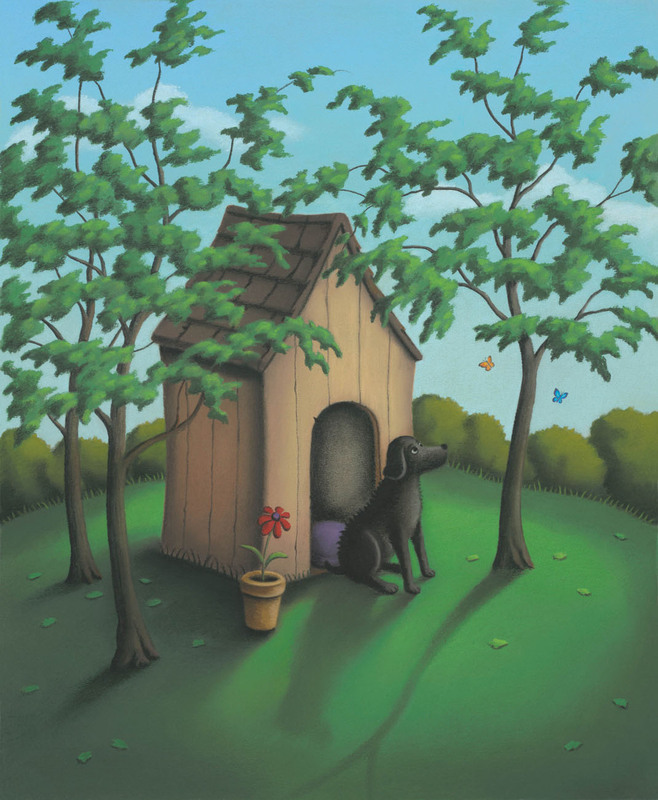 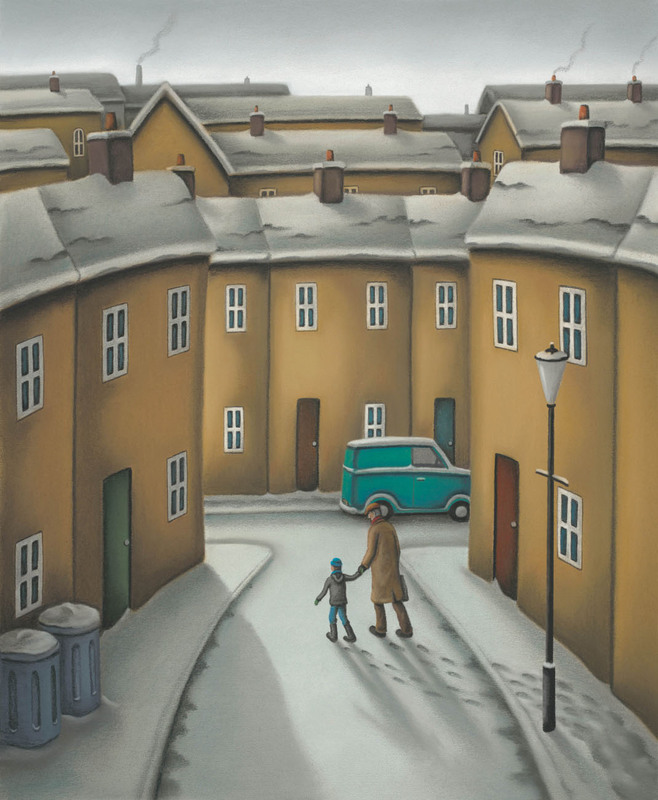 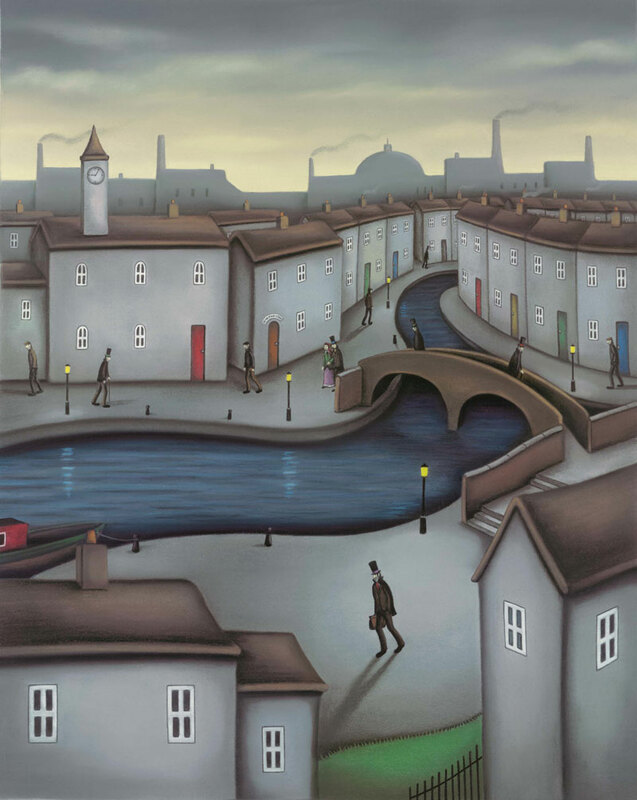 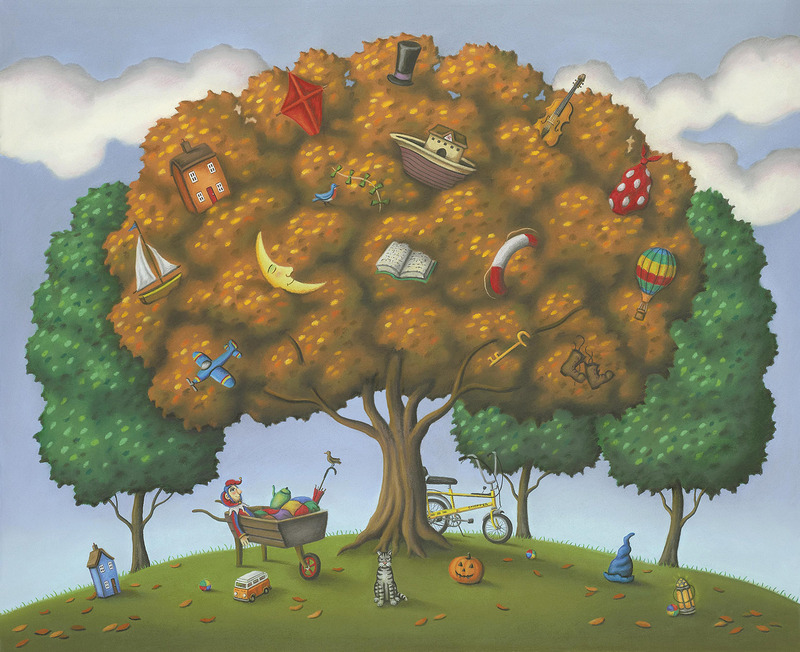 Paul Horton was born in Harborne, Birmingham. 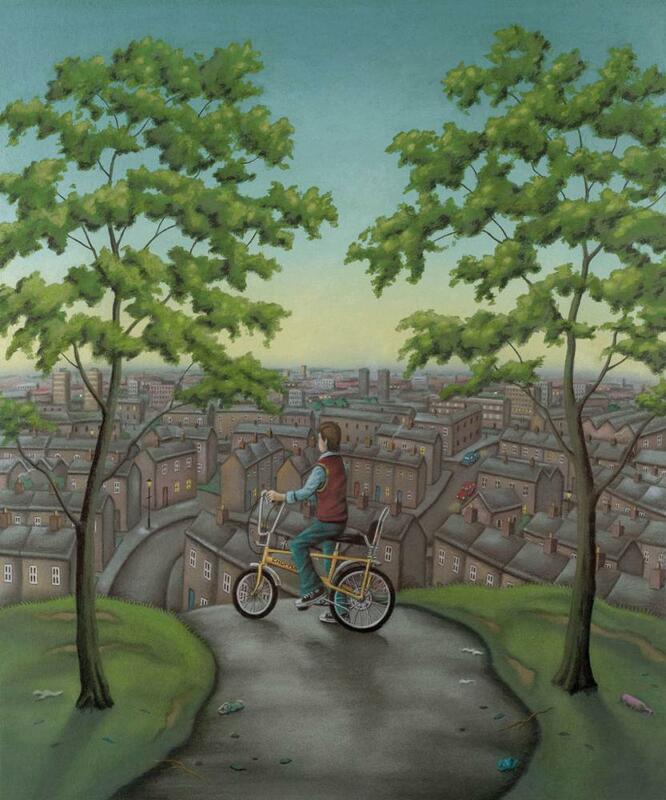 "- Looking back on my childhood it seems I was always drawing and painting, I think it was my destiny to become an artist. 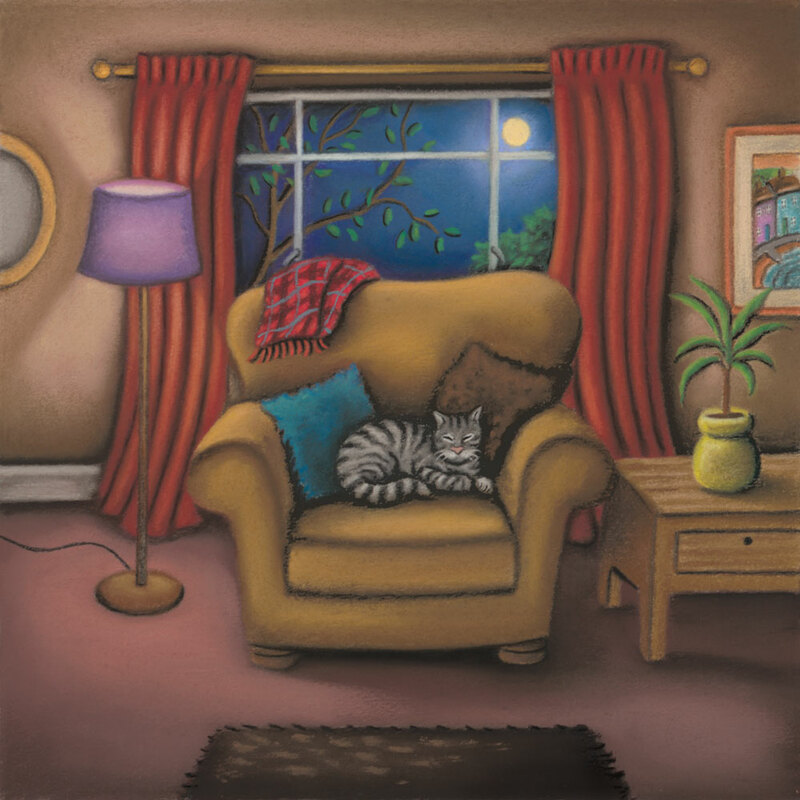 By the mid-seventies I was taking my art very seriously and studied Life Drawing and History of Art at Bournville School of Art, I also began exhibiting my work at regular intervals. 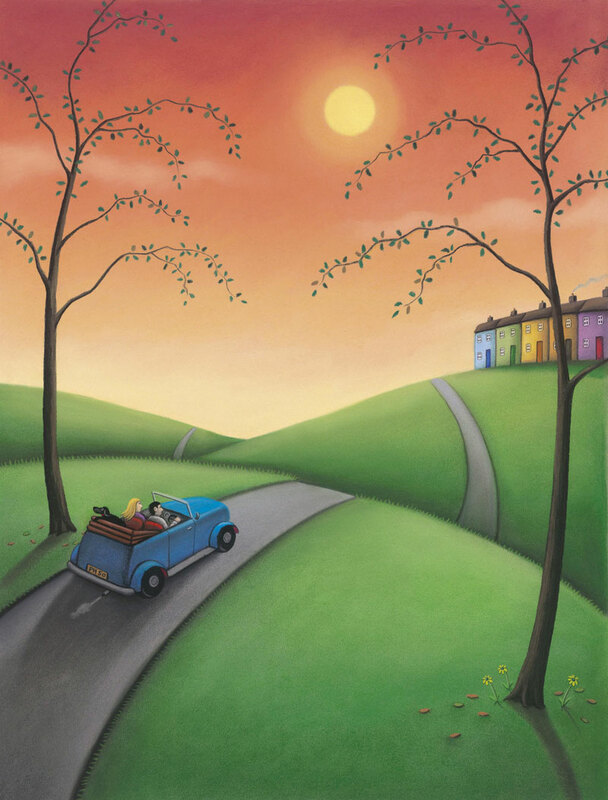 I was awarded a Certficate of Merit in 1976 by the Royal Birmingham Society of Artists which gave me my first critical acclaim and in a strange way seemed to seal my fate adding to my determination and desire to become a professional artist. 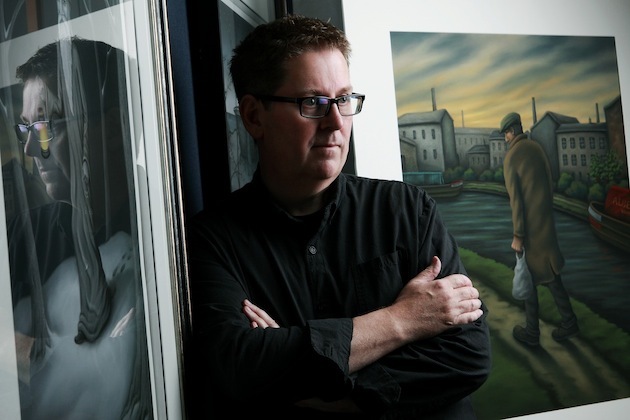 My early work was in a different style to what you see today and I would describe myself as a figurative artist. 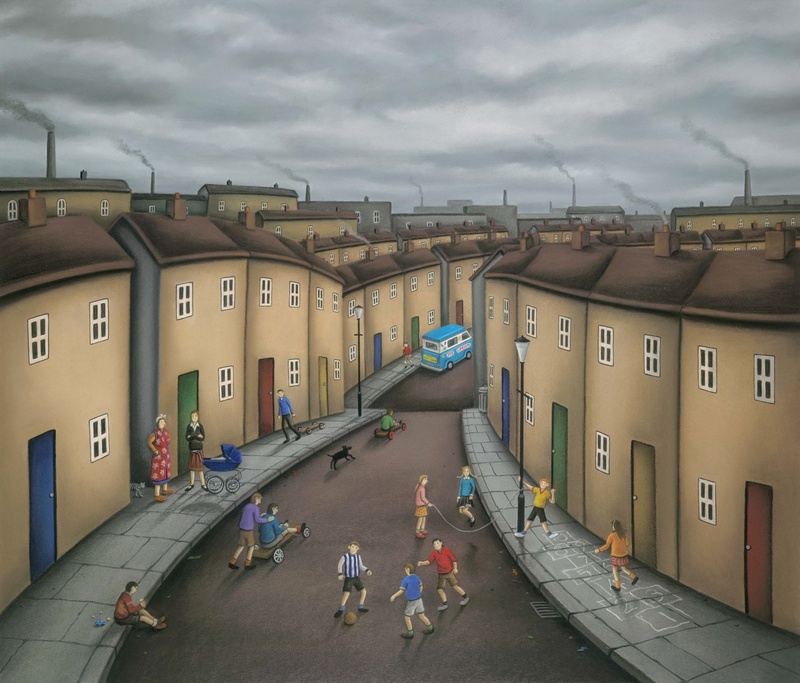 Growing up in the industrial heartlands of Birmingham during the sixties and seventies has given me so many memories to draw upon, it has also given me my identity and working class ethic which has had a profound influence on my work to the present day. 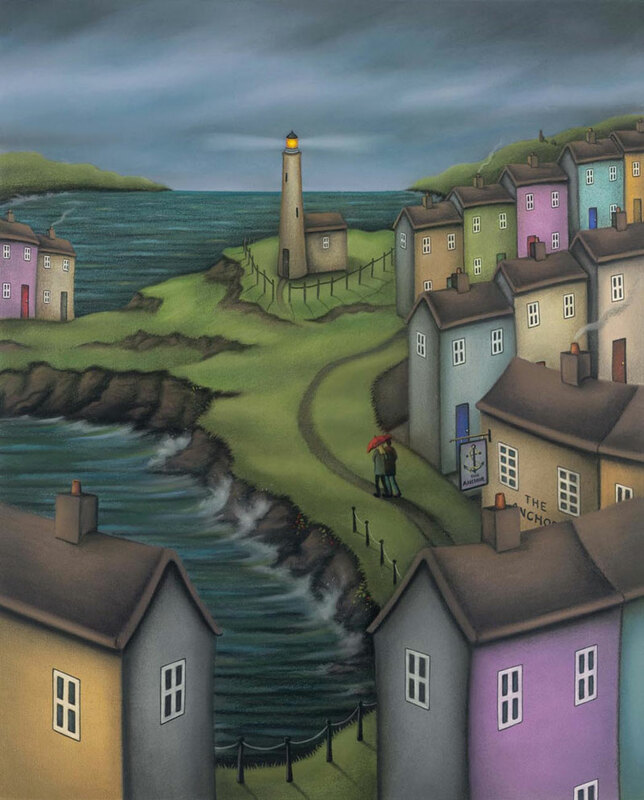 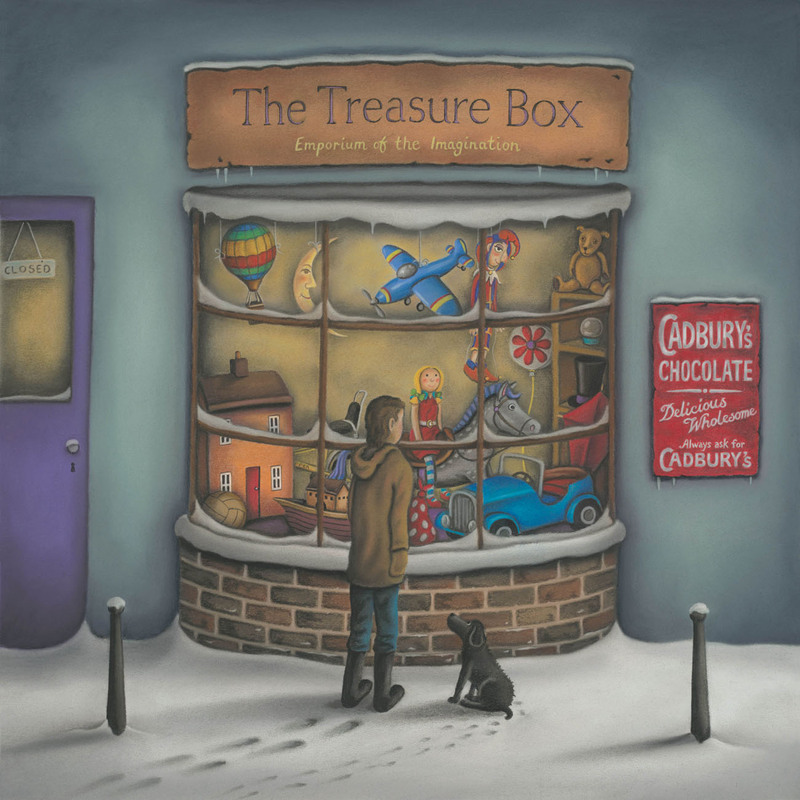 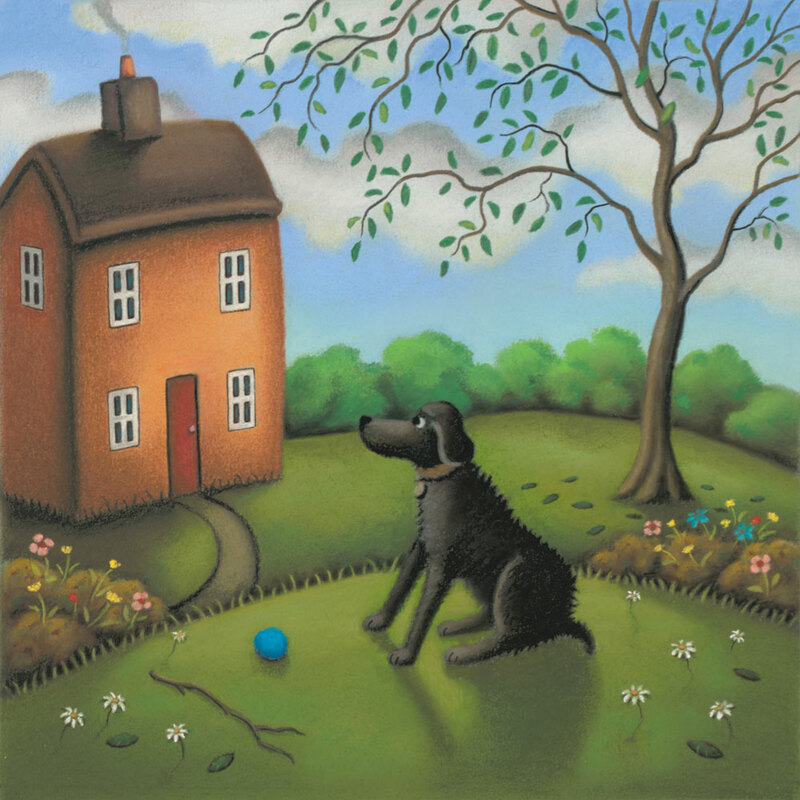 A major breakthrough occured in 2001 when I was first published by Washington Green, which saw my new style of work launched to over 200 galleries across the UK, quickly followed by my first tour “Homes and Hearts”. 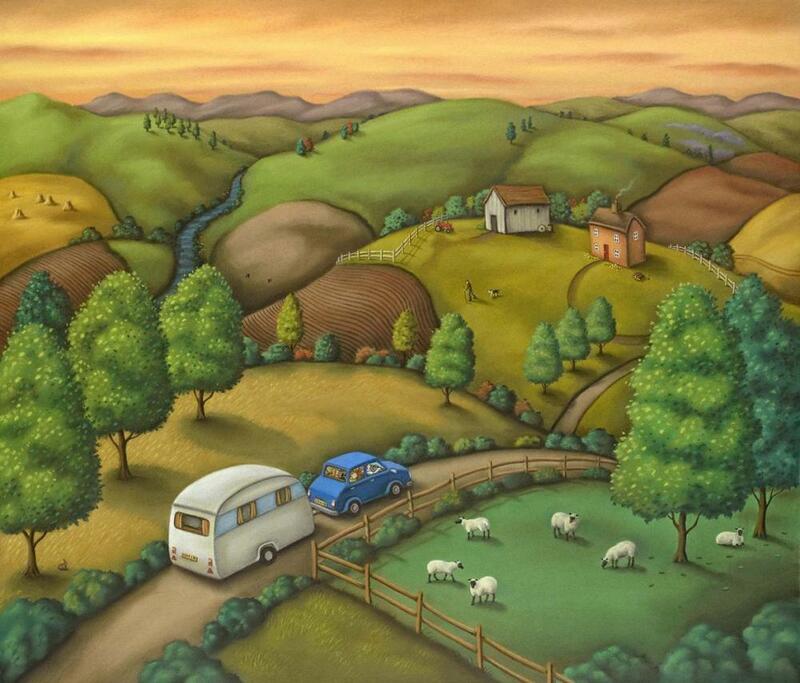 The feedback I get from my collectors has become a really important aspect of my artistic development, and although my tours are hard work, it means so much to me to find out why people are enjoying my paintings so much, and also what my art means to them in relation to their own experiences in life". 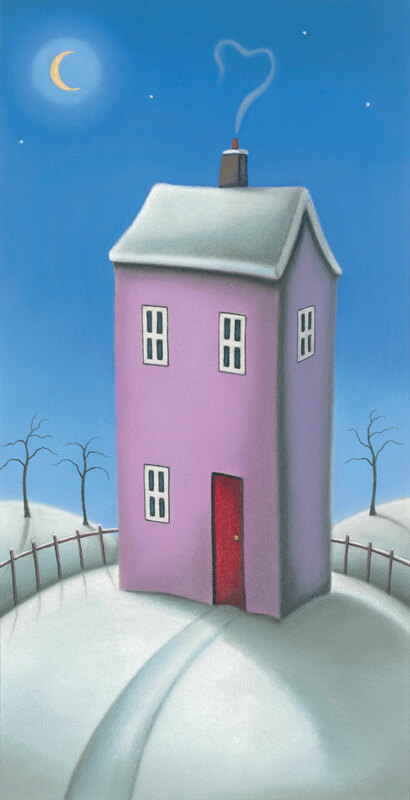 My distinctive paintings are informed by a love of colour, influenced by artists such as Degas, for his wonderful pastel studies and great sense of composition and Chagall, who created his own world of myth and magic drawing on his own recollections and experiences, which is something I like to do with my own work. 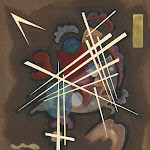 By the mid-eighties I was looking for new inspirations and unusual subject matter to draw. 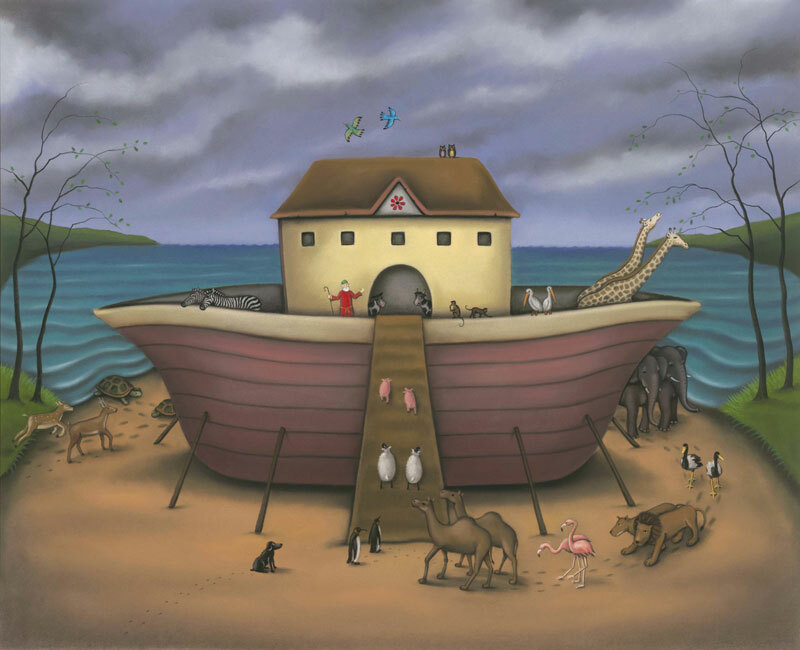 I visited the puppet theatre at the Midland Art Centre and was given access to a storeroom of puppets and marionettes down in the basement. 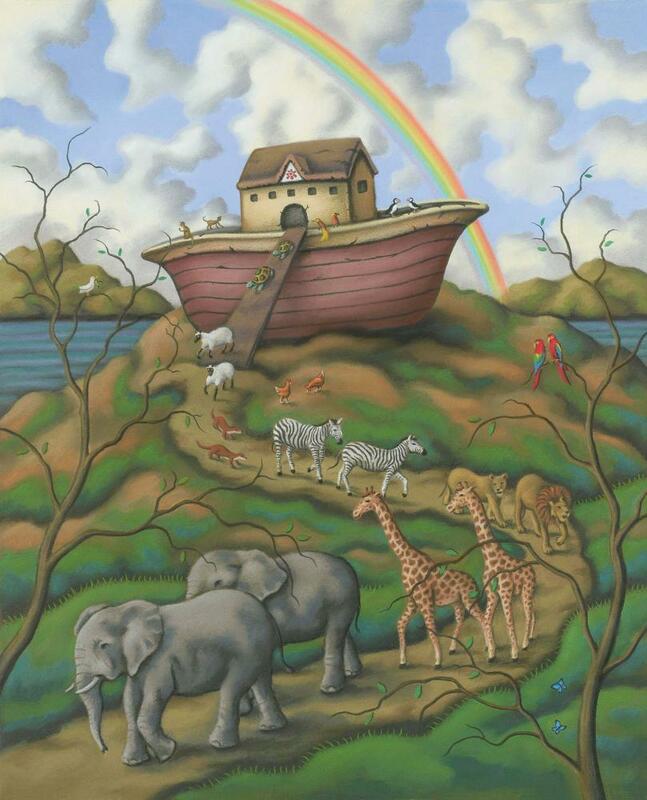 What I found laid out before me was a world lost in time, shrouded under a cloud of dust. 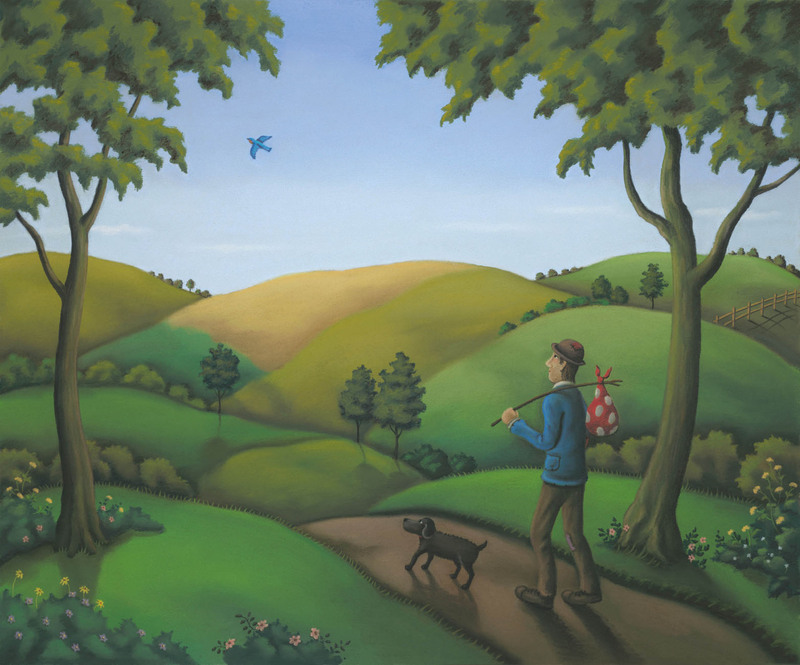 I felt I had been given a key to a magical kingdom and my aim was to bring this world to life. 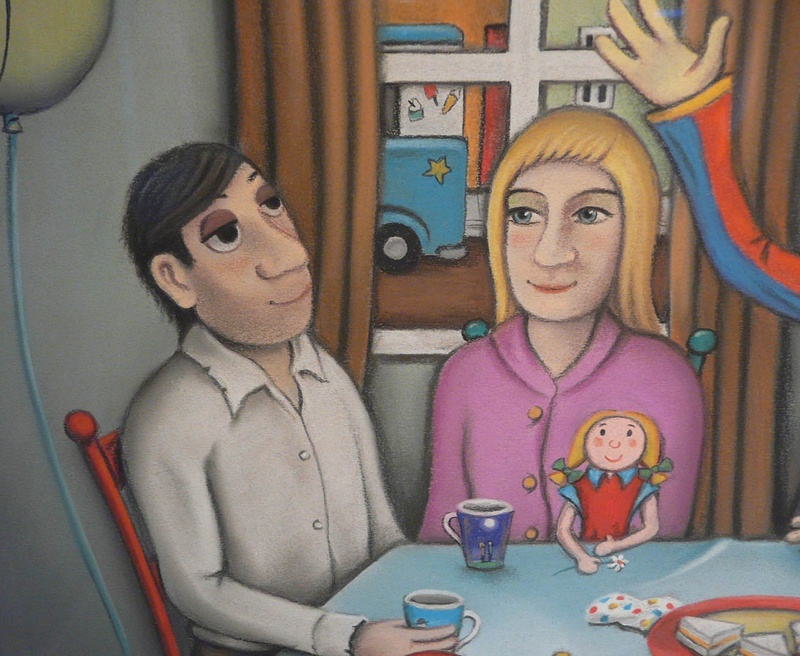 In the first paintings I produced the puppets still had their strings, only later did I release them from their bonds creating my own assortment of characters and the beginnings of the world you see today. 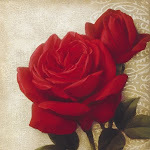 Each and every painting begins its life as a small sketch, a visual reference captured in a fleeting moment. 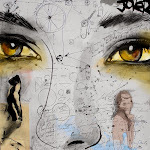 Working and playing with these ideas are critical to all of the paintings and I’m often amazed how closely the finished work mirrors these visual notes. 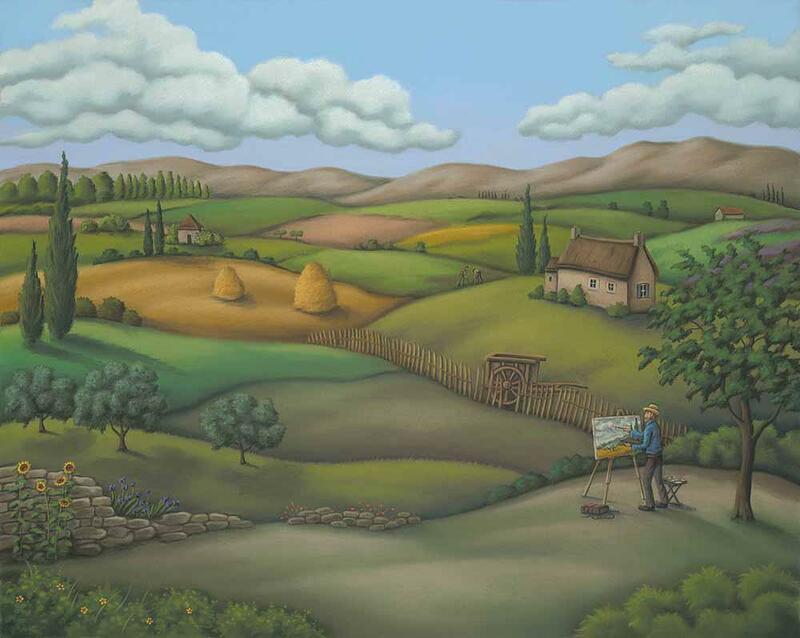 I work from my imagination as much as possible and having chosen my subject matter I begin to work on the composition, and already have a strong idea in my mind of how the final painting will look. 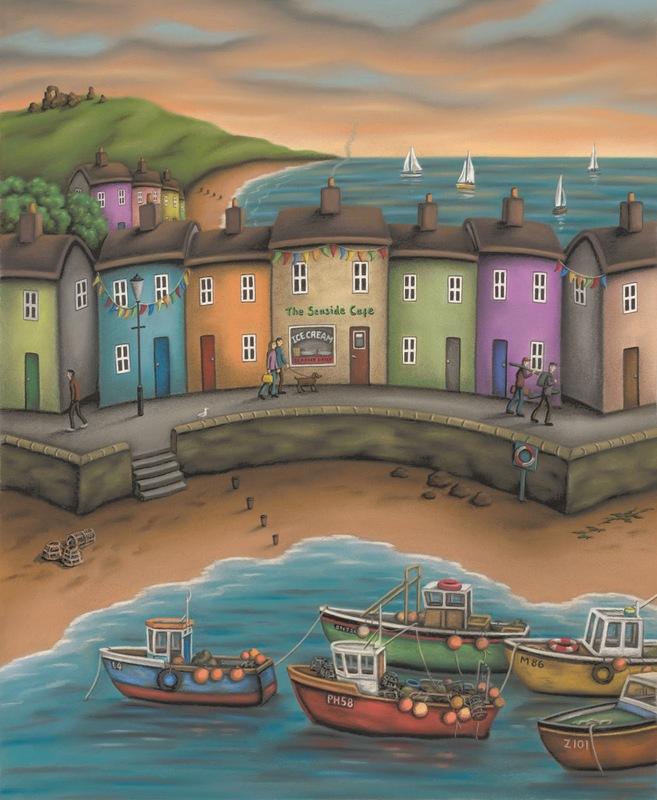 I work on grey pastel paper which I mount onto board; this allows me full control of the tonal values, I use a variety of high quality pastels, blending and drawing on the surface of the paper creating the vibrancy of colour and atmosphere inherrent in my work. 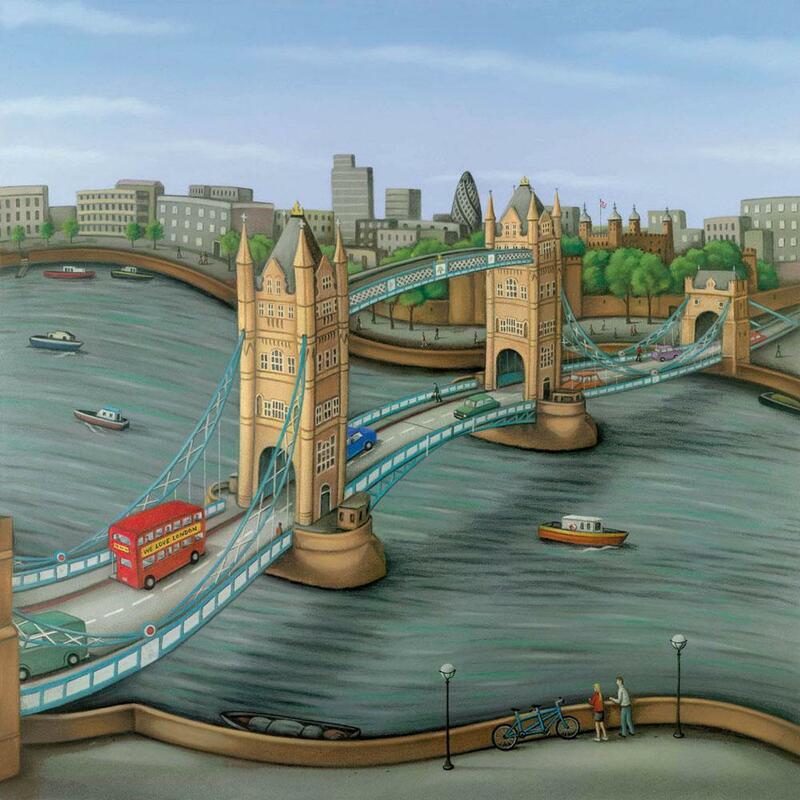 There is no greater thrill than seeing the finished painting, having created something that never existed, I have a great sense of pride in my work. 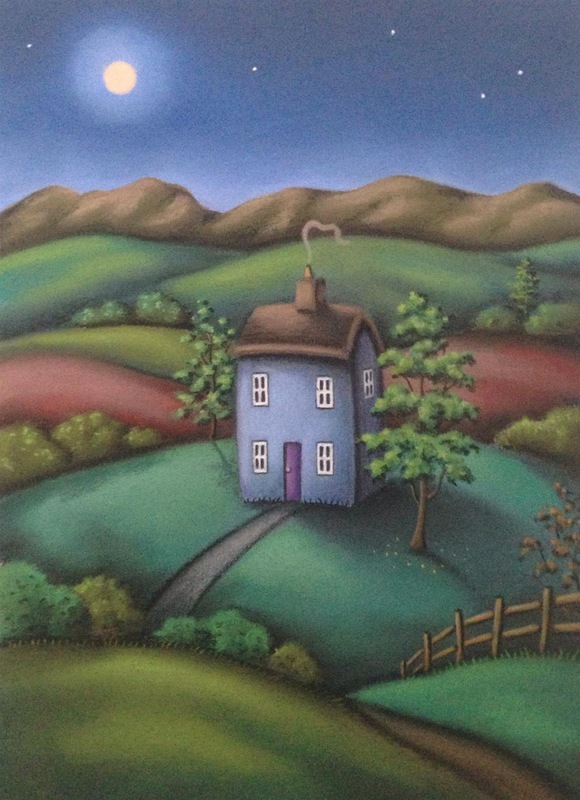 I’ve always been an early bird and can be found almost every morning in my studio from around 7am. 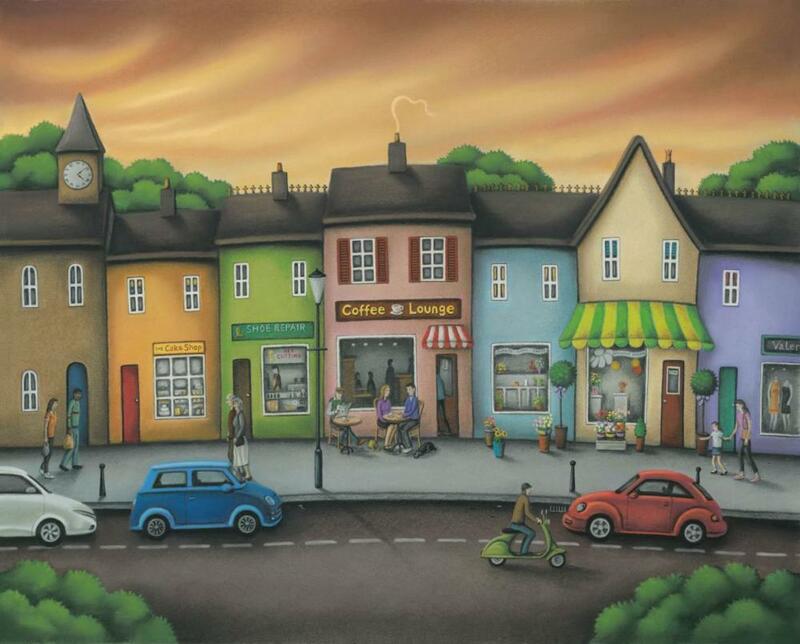 I like to spend a few minutes assessing the previosuly days paintings and with a strong cup of coffee to hand I try to get myself in the right frame of mind to begin the days work. I often have music playing in the background, and vary the atmosphere with occasional sessions of classical music or something more contemporary. 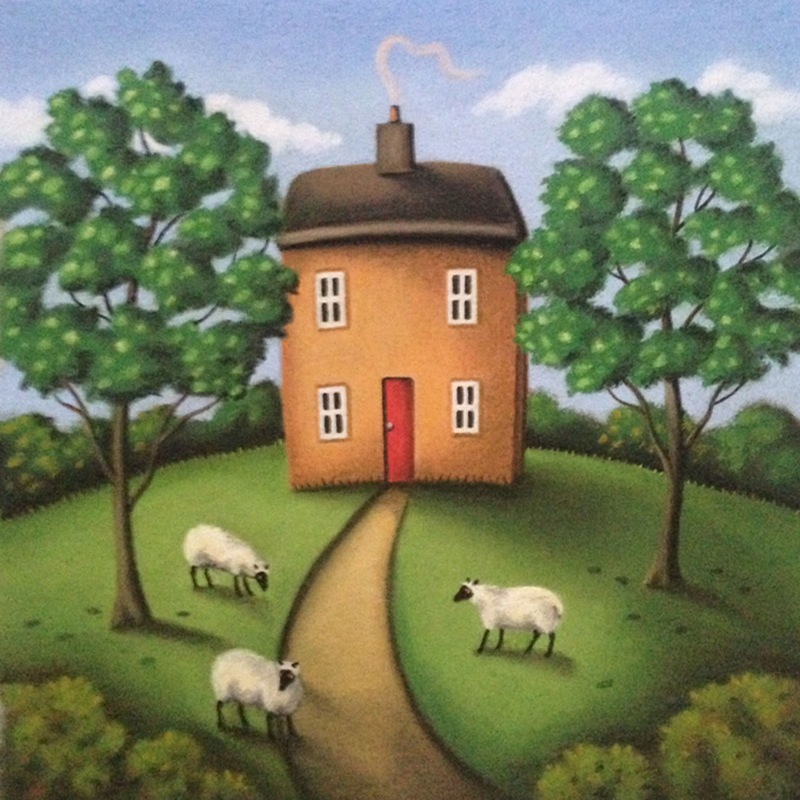 I work on one painting at a time and set myself daily targets to keep up with the demand for my original artwork. 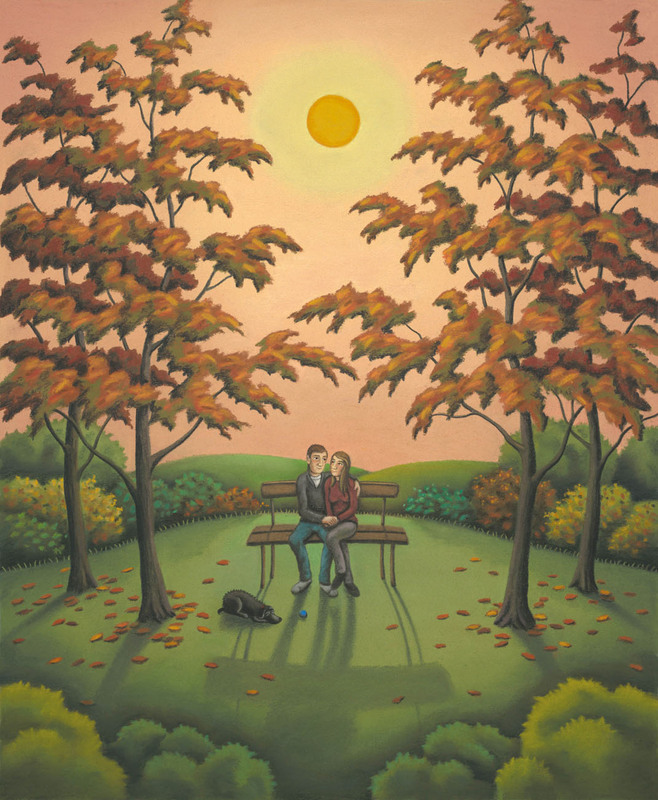 It is really important to have a reaction and receive feedback to what I have created, I try to spend as much quality time as possible with my son Mark, who as well as being a fellow artist understands my work like no-one else, I value his reaction, assessment and support – we enjoy each others company and he is the most important part of my life. 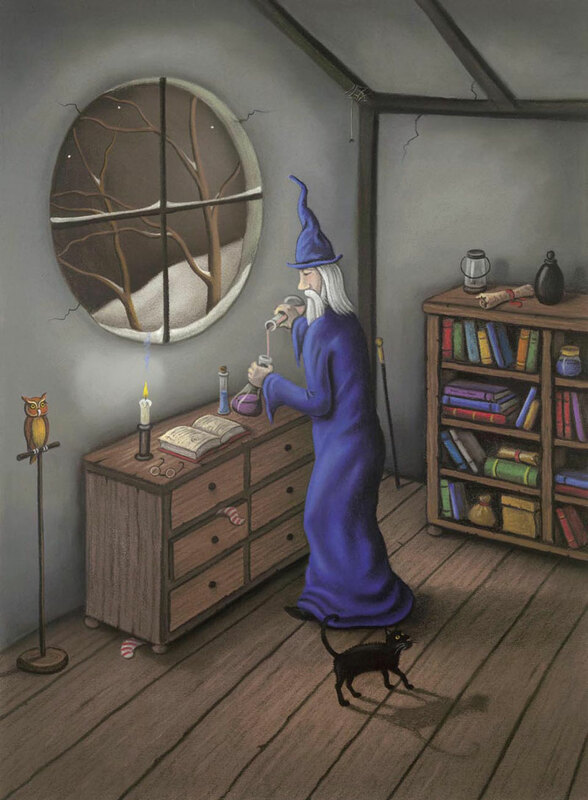 In the evening I like to relax with a glass of wine and maybe the muse will arrive and bring with her new ideas and inspirations. 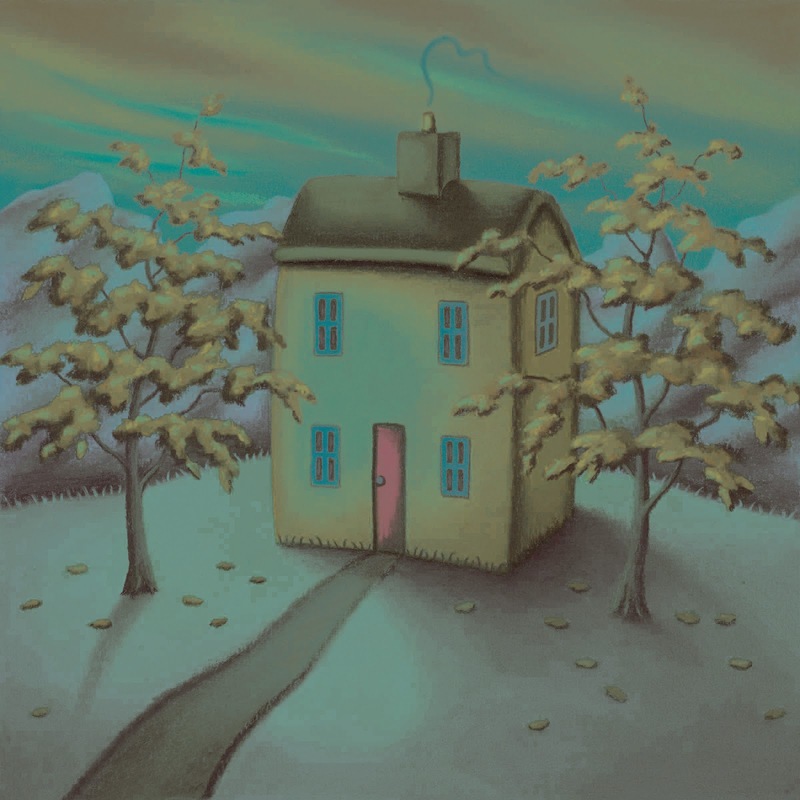 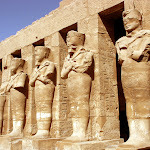 2005 Finalist Best-selling Published Artist - Fine Art Trade Guild.